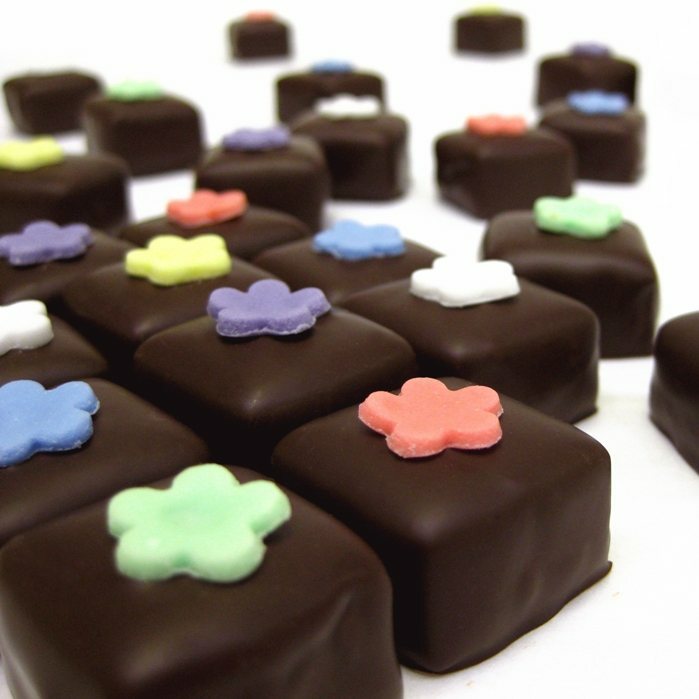 Wedding Favour Boxes with finely crafted, artisan chocolates. These elegant boxes, hand tied with a silver satin ribbon, are a beautiful adornment to each pLace setting. Creme Caramel Truffle, Cinnamon Toffee Apple, Vanilla Fudge, Honey Spice Truffle, Chocolate Orange Truffle, Strawberry & Champagne Truffle, Sea Salted Peanut Caramel, Orange Cream, Hazelnut Praline. 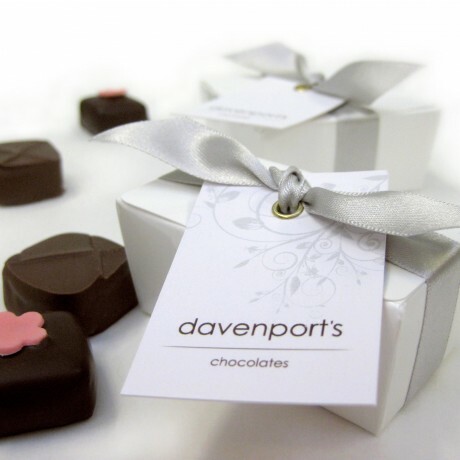 Davenport's Chocolates have a wealth of experience with wedding favours, and have added the final touch to many a magnificent wedding breakfast. These artisan chocolates will be enjoyed by all your guests. Will vary according to choice of chocolate, please contact for specific ingredient information. Depending on the chocolates chosen please contact for specific allergy information. Will vary according to choice of chocolate, please contact for specific nutritional information. Gorgeous chocolates and prompt delivery. Thank you. As always, wonderful chocolates with exemplary service. These chocolates are some of the nicest I have ever tasted. These chocolates are some of the nicest I have ever tasted. 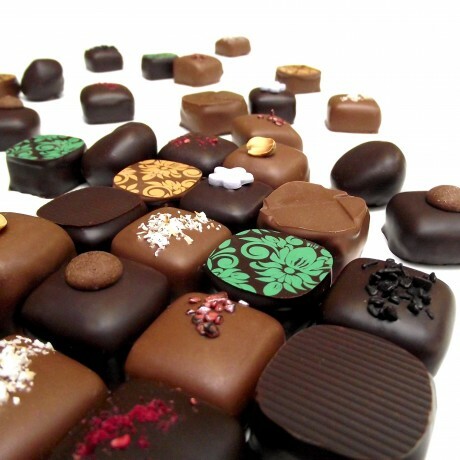 The floral collection is unusual and very fragrant; the mulled wine chocs are definitely tasty (and unique) and the vintage collection have taken the best from all-time favourites chocolates from many chocolate producers. They are also very reasonably priced. I have bought them all (several times) and will definitely buy mote. Almost totally flavourless. I could only taste the chocolate. Good experience ordering, delivered on time and excellent product. many thanks. 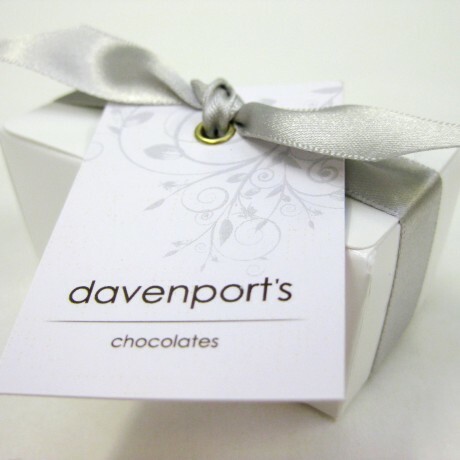 Minimum quantity for "Davenport's Chocolate Wedding Favours" is 30. True artisan chocolatiers putting a modern spin on vintage chocolate classics.